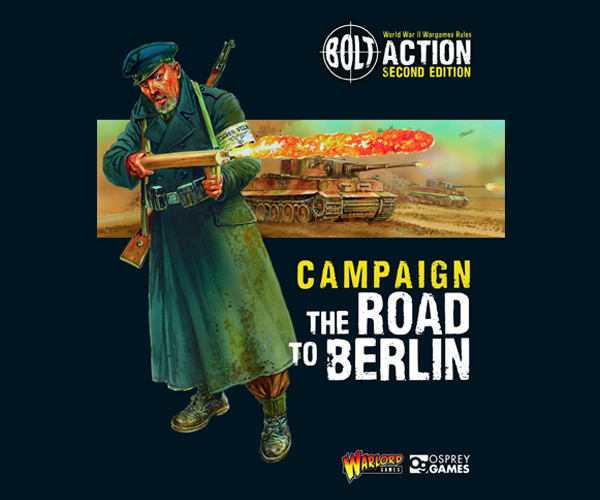 Bolt Action’s next step within its gaming world is exploring the downfall of the Third Reich. Diving through the Eastern front, you’ll be able to learn about the very bloody and arduous operations both Germany and the Soviets endured, and the uprising of the Polish AK and Czech forces. With unrelenting leadership and an absurd amount of ‘political motivation’, the Russians finally managed to expose Nazi Germany after brutal years of fighting. In June 1944 the Axis powers in Europe were about to be subjected to two major hammer blows. In the West, the final preparations were being made for Operation Overlord, the Allied invasion of Western Europe. In the East, the Red Army was planning a massive offensive, with bold objectives to critically damage the German Army and eject it entirely from the Soviet Union and, by pushing deep into Poland, providing the springboard for later offensives that would eventually find the Red Army in the streets of Berlin ushering in the final collapse of Hitler’s Third Reich. For the Germans, a sense of fatalism began to grow, whilst amongst the Soviets, spirits rose. After the months of crushing defeats, encirclements and mass capitulations, the Germans were finally revealed to be beatable and their aura of invincibility had finally been ripped aside. This is well illustrated by a common story from the end of the Stalingrad operations where Soviet troops harassing sullen German prisoners, pointed at the remains of the devastated city and screamed that it would only be a matter of time before Berlin resembled the ruins of Stalingrad.